Keep your growing child safe and secure with the Viaggio HBB 120. The modern addition to the Viaggio family, the HBB 120 can sit a child from 40 to 120 pounds / 18 - 54 kg. Equipped with back support and total Side Impact Protection to ensure a safer and more comfortable ride. Check out all the great features of the Viaggio HBB 120 in this video. 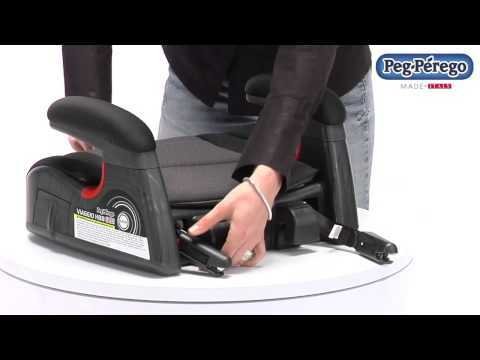 See what Baby Gizmo has to say about the newest member of the Viaggio family, the Viaggio HBB 120! Forward Facing The Viaggio HBB 120 is used forward facing from 40 - 120 pounds / 18 - 54 kg with a maximum height of 59” / 150 cm. Vibrant and stylish, the Rouge collection offers an eye-opening shade of red that is sure to turn heads. Unique stitching lines and deep black trim help to enhance the look.